As habitats change and species die out, collections at natural history museums become increasingly important for biodiversity research. These colorful Carolina parakeets were once the only parrots native to continental North America that were found north of Mexico. They are now extinct. 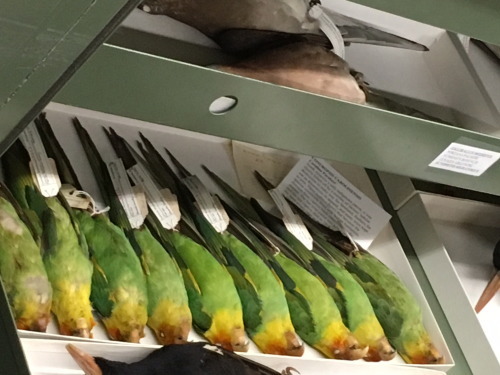 These specimens are part of our hidden collection in the Section of Birds, which has 180 specimens of extinct birds as well as specimens of many rare species collected decades—if not more than a century—ago.